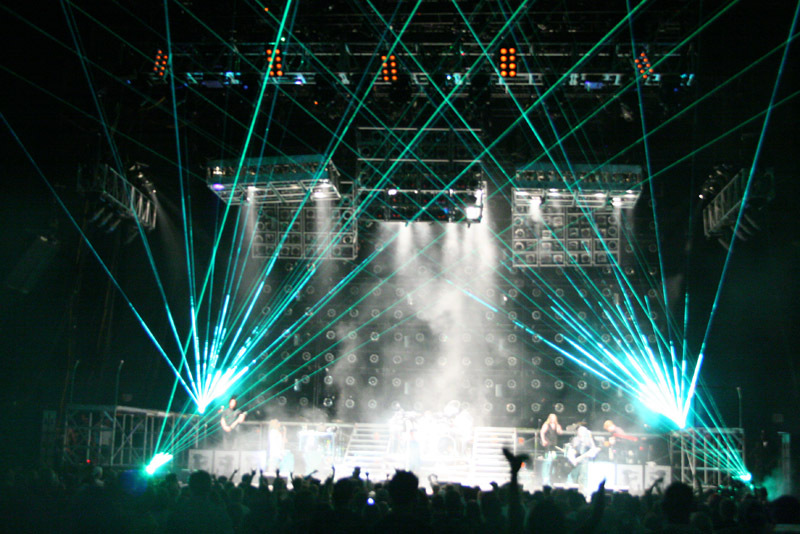 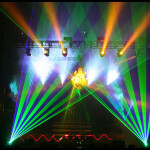 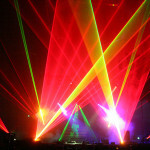 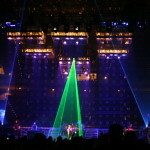 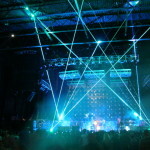 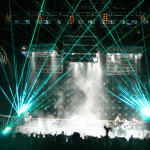 The Family Values tour crosses the USA and Canada with three high-powered Lightwave Prism Series Lasers. 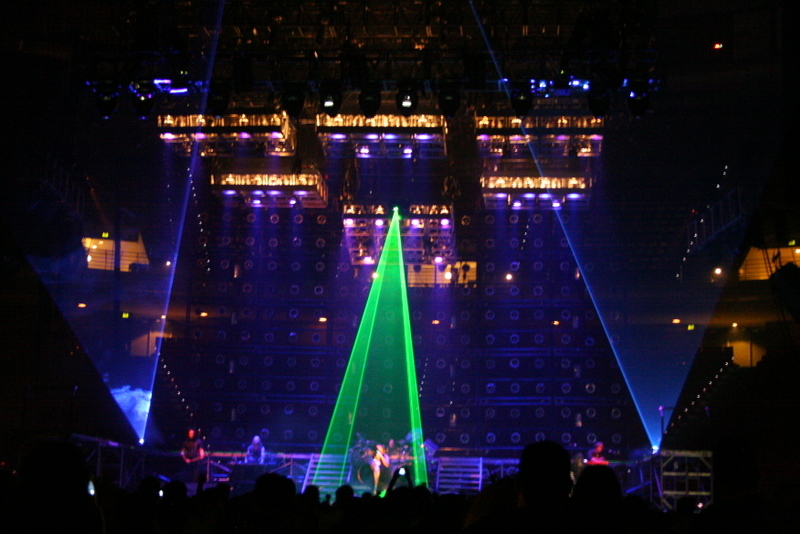 Lasers are controlled by DMX from full-size Lightwave Laser Servers, eliminating the need for a dedicated live laser operator. 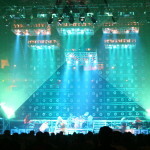 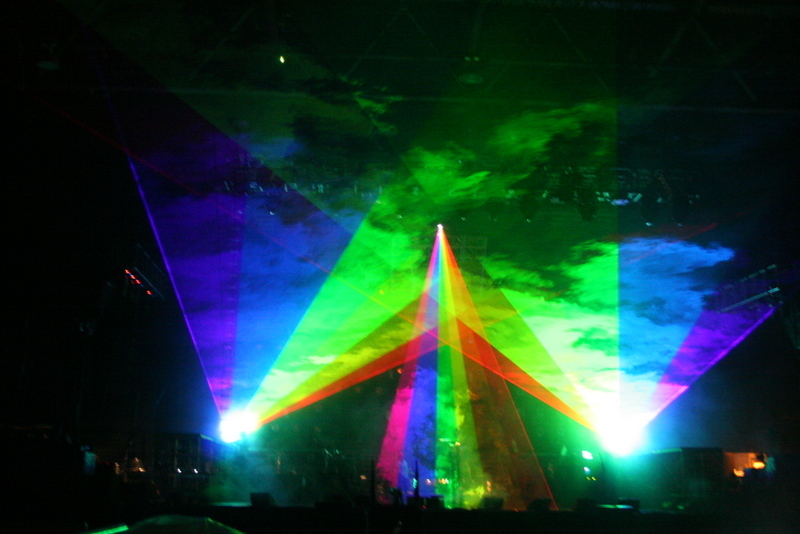 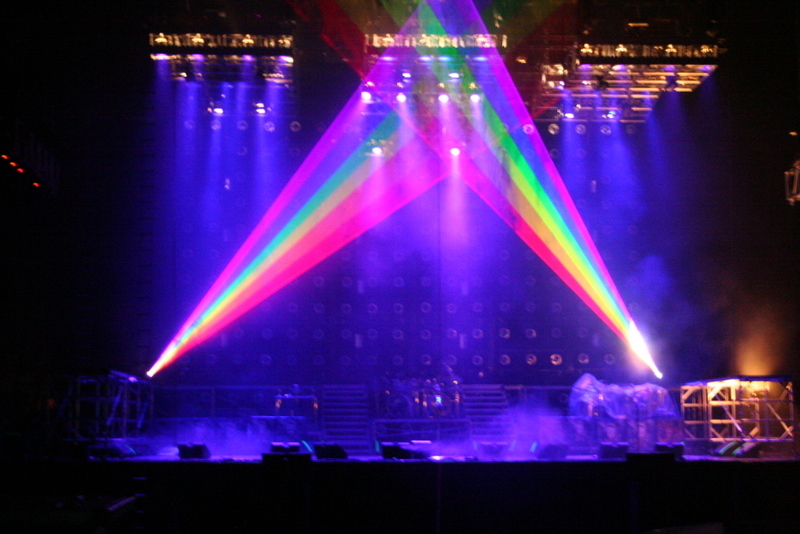 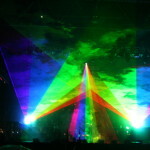 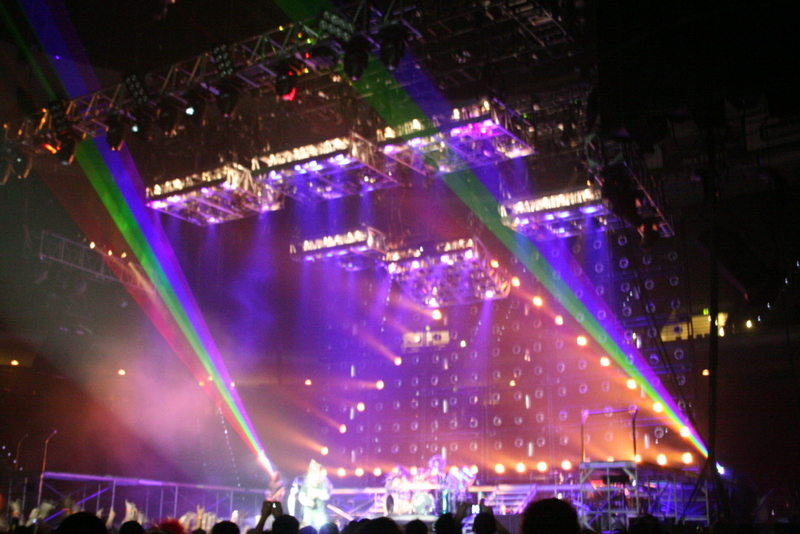 Three Lightwave Prism 12K laser projectors were located on stage, and operated from just one single 110V power feed and no water cooling required. 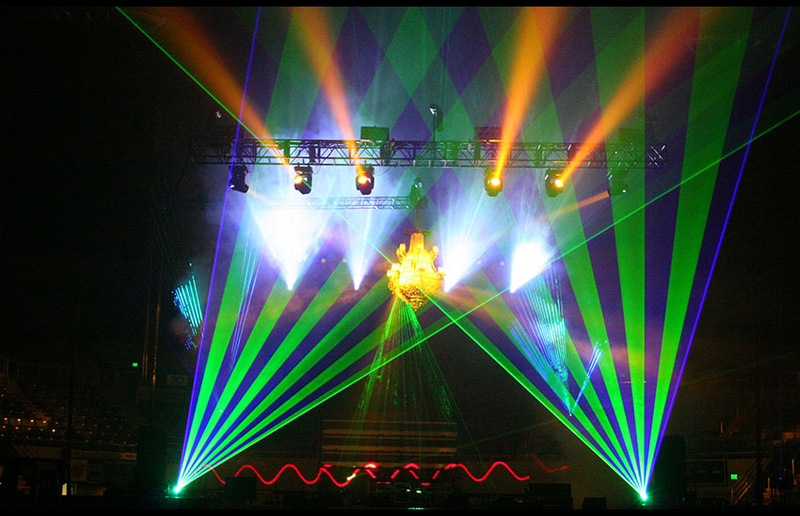 If you are still touring with hoses and pumps: stop the insanity. 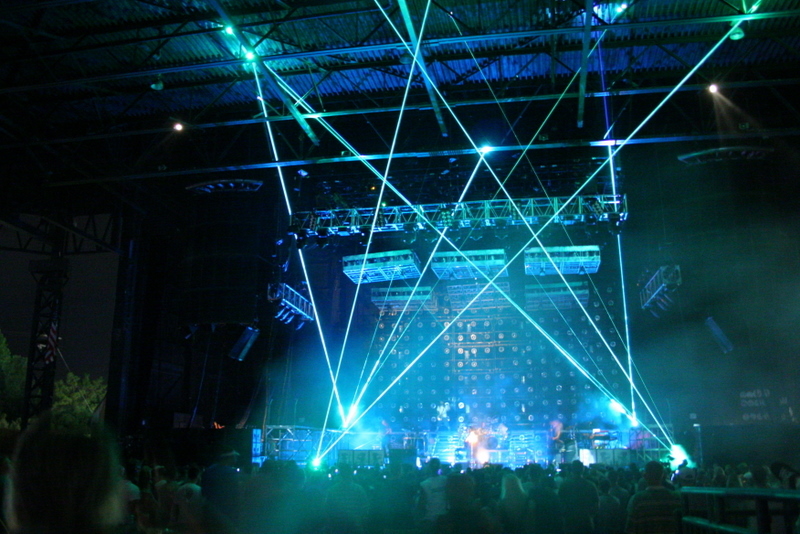 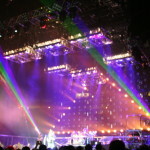 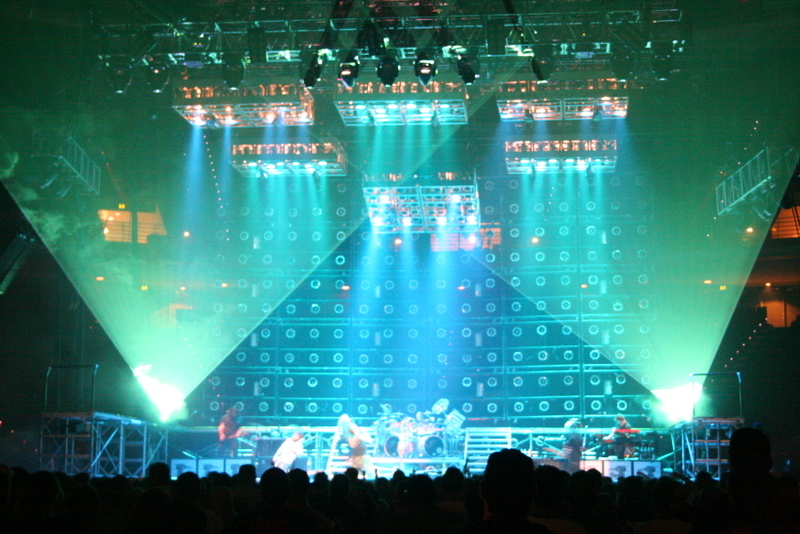 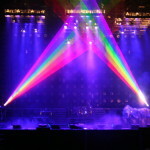 An overhead laser is mounted directly in the truss. 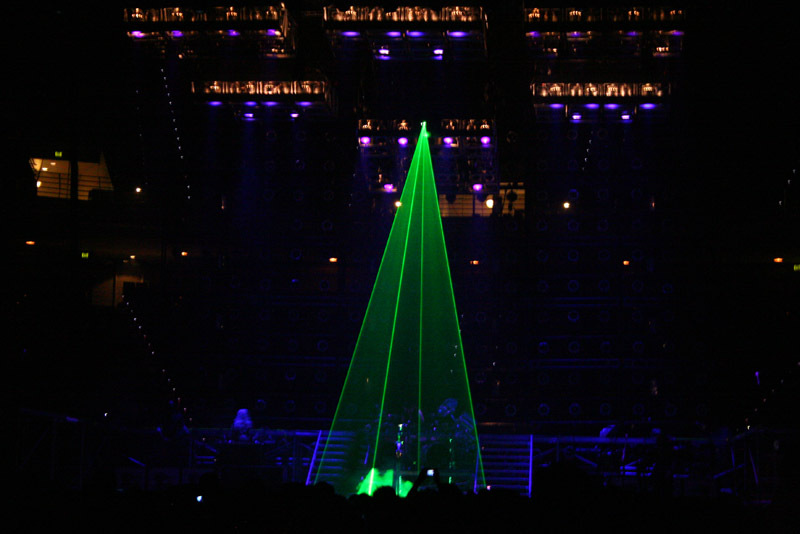 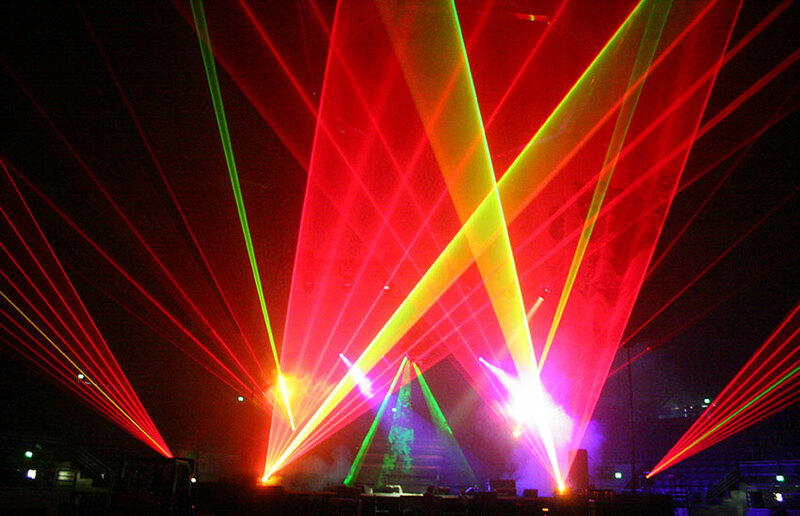 No fiber is required to place lasers above performers, and setup time is identical to other lighting fixtures sharing the same truss.